SUMMARY: Recent MarketingSherpa research has shown that B2B marketers face their most significant challenges when trying to generate high-quality leads. This, alongside the always complicated relationships with Sales, highlights the growing importance of proper lead management. Read on for five important lead management steps to help you maximize the efficiency -- and results -- of your sales funnel. In the recently-released MarketingSherpa 2011 B2B Marketing Benchmark Report, marketers were asked to rank the most important challenges they face in achieving B2B success. According to 78% of respondents, the top challenge was "generating high-quality leads," while only 44% claimed "generating a high volume of leads" was the most pressing obstacle. Add to this challenge a recovering but still fragile economy that has lengthened (and complicated) sales cycles for many B2B marketers. And the always tenuous relationship with Sales departments that feel they never get enough support to make their numbers. This is why it's more important than ever to make sure your team is properly managing leads before handing them to Sales. A proper lead management initiative engages interested prospects and helps pull them closer to a sales conversation, ultimately handing them off to a rep for further movement down the funnel. Brian Carroll, Executive Director of Applied Research, MECLABS, and author of Lead Generation for the Complex Sale, addressed the critical handoff between Marketing and Sales as he spoke to a group of marketing professionals in Boston, at the second leg of MarketingSherpa B2B Marketing Summit '10. Carroll covered a five-step process to optimize lead management, align marketing and sales, and maximize the efficiency of -- and results from -- the entire sales funnel. Step 1. Refine universal lead definition of "sales-ready"
Many organizations struggle with the exact definition of "lead." And the biggest difference of opinion usually lies between Sales and Marketing. The questions marketers should be asking are: What do salespeople really want? What do they need in order to sell? Salespeople need to manage their precious time. Quota-carrying reps are acutely aware of the relationship between their time and value to the company. A rep has to continuously ask oneself, "What is the probability of this deal closing? And what is its inherent value?" 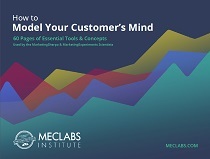 Regardless of the model you choose, it is vital that the choice is made jointly by Sales and Marketing. Effective demand generation teams will establish a process that defines a lead, establishes a follow-up process and determines how quickly a lead must be moved further down the funnel. Once a common lead definition has been found, it is the marketing team’s responsibility to filter leads accordingly. Marketing automation platforms and lead scoring processes all help to determine qualified leads for sales readiness. But sales reps will play a vital role in this process, as well. There is only so much that automated systems can accomplish without a human touch. Step 3. Nurture early stage leads until "sales-ready"
According to Carroll, lead nurturing is "the process of having a relevant, consistent dialog with viable potential customers, regardless of their timing to buy." With lead nurturing, you are strengthening the relationship you have with potential customers, by adding value, even if they never buy from you. In order to nurture leads effectively, it is important to offer content which is relative to their needs at any given time. According to Carroll, "...in B2B, you nurture organizations, not people. By providing an individual with meaningful information, you are helping that person have meaningful dialogue with others in that organization." Lead nurturing is perhaps the area of Brian Carroll’s presentation that grabbed the most attention at B2B Summit ’10. "I had always thought of lead nurturing as just an automated email workflow in Marketo. Now I’m looking at it in much broader terms -- reaching people in whatever channels they want to be reached with information that is valuable to them," said Bryan Rensel, Director, Marketing Communication, Blue Ridge Numerics. While choosing multiple channels is important, relevant content is also key. "Social media is a tool, real-time marketing is a mindset," said David Meerman Scott, marketing strategist, best-selling author, and keynote speaker at the upcoming MarketingSherpa Email Summit ’11. Meerman Scott suggested marketers look to newsworthy topics to provide relevant content, instead of just getting into a "set it and forget it" campaign mentality. 1.Be sure the lead is "sales-ready"
Ultimately, an established process not only increases efficiency, but also shows if your leads are actually helping your sales team convert, as well as measures the contribution you make to the pipeline. Effective sales and marketing organizations are ones that communicate well. Regular meetings should be held to gauge progress and success. In these "huddles," both teams can collaborate to review results, fix procedural errors and refine priorities moving forward.